Shippit and Convert Digital have teamed up to bring you the Rocketeers of Retail. Rocketeers are pioneers that know no bounds to their ambition. Working hard, thinking big and playing a strong game to win in the competitive landscape that is Australian eCommerce. For 2019, we’ve upped our game and partnered with the Retail Learning Channel to bring you a jam-packed events calendar. Rocketeers are recognised for having broken through the million-dollar sales ceiling and are on track to building the next generation of retail powerhouses. We are building an exclusive series of events to support a community of small to medium retail business owners where they can exchange ideas, insights and learn from those who have gone before them. In February 2017, Shippit co-founder Rob and Convert Digital boss, Andrew thought it was about time we did something to recognise the true rocketeers of this industry and gave them a platform to connect, share and learn from one another. 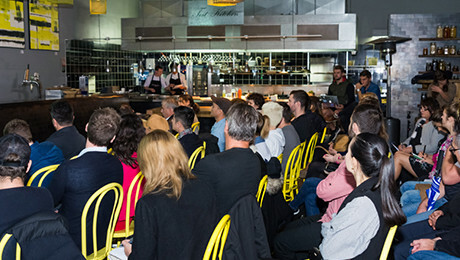 We hold our Rocketeers event quarterly in Sydney. Our next event kicks off on October 19th at Handpicked Wines Cellar Door. Don't miss out on hearing from some brilliant retail minds who will give you the tools you need to grow your business exponentially this year.